With a shift away from massive, status statement homes, homeowners are more interested in a home that provides function in each room and can appropriately “fit” their family. At Sensory Six, we work with clients to transform each home into a haven. Our goal is to create a space that is perfect for each individual in both form and function. With smaller homes, we combat the lack of storage with a few techniques to maximize small spaces and transforming unused areas into something functional. Our 21st Century Zen™ design-build philosophy advocates modern, tranquil and luxurious spaces for home use—living spaces that improve well-being and productivity. Below are some of our best tactics for making the best use of space, and creating 21st Century Zen™ environment in smaller homes. When customizing a home, it’s important to utilizing the wall space that already exists in an effort to add storage or design details. Instead of building out, you are pushing things into surfaces, building within the thickness of materials, and carving out the wall spaces. All kinds of wall configurations can be used for storage, whether it’s a low wall, partial wall, or wall with windows. 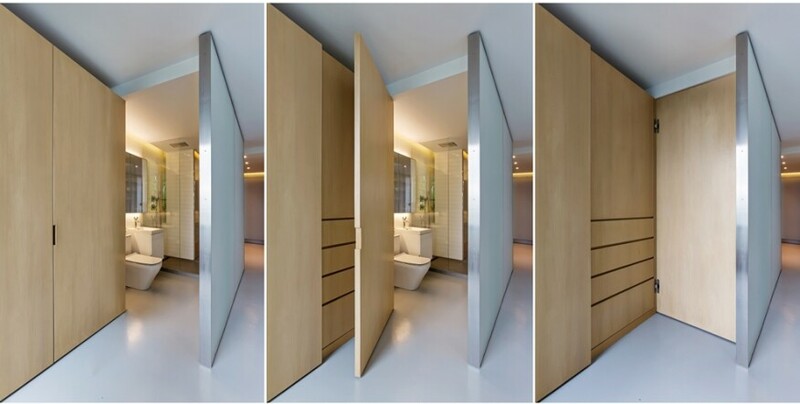 Consider that a wall is not just a wall, it is a divider and has properties which can be used for two-sided storage. Maximizing both storage space and living space can be tricky. The more you build into a small space, the less room there is to walk around, and you don’t have any room to waste. Using vertical storage is a more efficient approach, as it utilizes height when space is less of a premium. For example, with a walk-in closet, consider doubling up the circulation by having linear storage along it. Also, when working in small spaces, floating storage shelves and built-in pieces can help to open the space. We recommend trying to levitate things, giving the appearance of being “off the ground” or “off the wall”. Building pantry storage into kitchen cabinets will help utilize space in a room where there never seems to be enough. 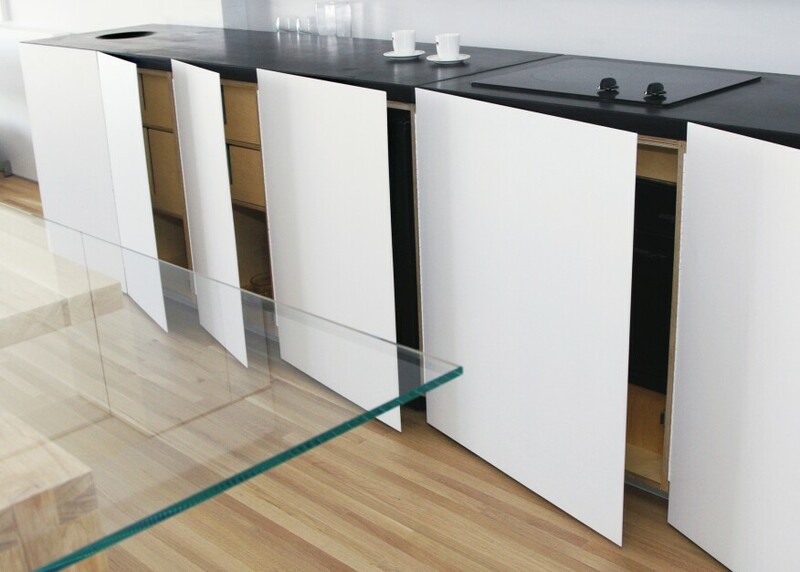 Consider stacking shelves and trays, rotating Lazy Susan’s, or base cabinet pull-outs, all of which can help to maximize what homeowners can store behind a regular cabinet door. Furthermore, adding open shelving in the kitchen or other areas of the home disguises storage by turning it into a decorative element. To create the illusion of depth and generate more storage, we recommend open closets that turn forgotten corners into functional nooks. For instance, a living room corner where homeowners may put a decorative piece or leave empty altogether, is a perfect opportunity to create a corner nook with built-in shelving, utilizing the otherwise overlooked space. 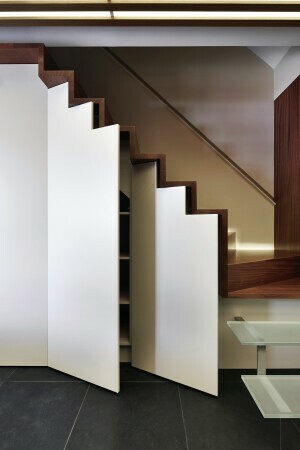 Have you ever considered utilizing the space under the stairs? This space can be transformed into a versatile closet, a built-in hideaway office, or even a wine cellar or dog nook. By making these spaces decorative with glass cabinets or doors, colorful paint, and attractive lighting pieces, you can turn a previously forgotten space into both a practical element and a design statement. Leverage every piece of space in your home to design something functional and creative. At Sensory Six, we renovate existing spaces to enhance a home’s “luxury livability”. Including kitchens, baths, outdoor space, wellness rooms and more. With all of our projects, we work to apply the best technology and design living spaces that are highly functional and contribute to health and wellness. With smaller homes and those that require more storage, we take advantage of every inch of space. 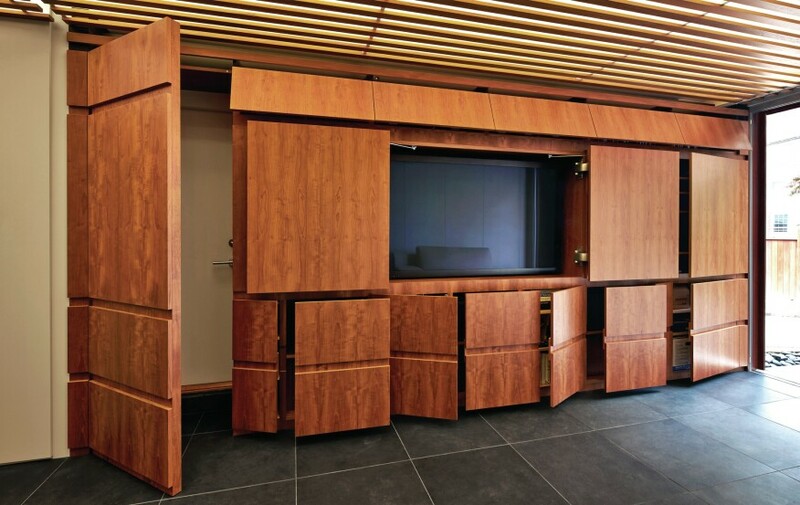 By building from within, creating circulation, maximizing functionality, and transforming empty spaces, a small home can be transformed into a dream home with ample storage. For more information on our 21st Century Zen™ design-build philosophy, contact us at (518)306-1099 or info@sensorysix.com.